Industries and vehicles. More than 20 years old vehicles are freely running on the city. They are emitting greenhouse gasses10 times more than the standard. 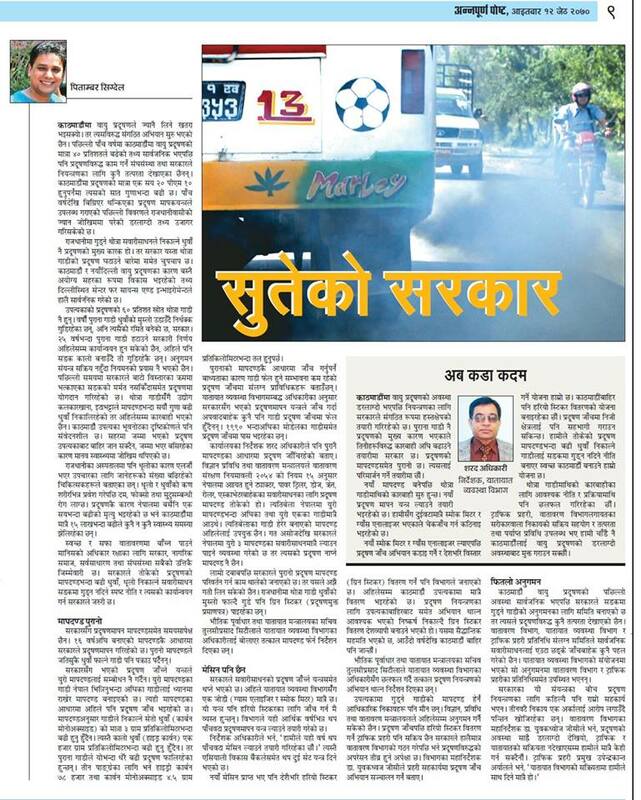 The government of Nepal is not doing anything to control.